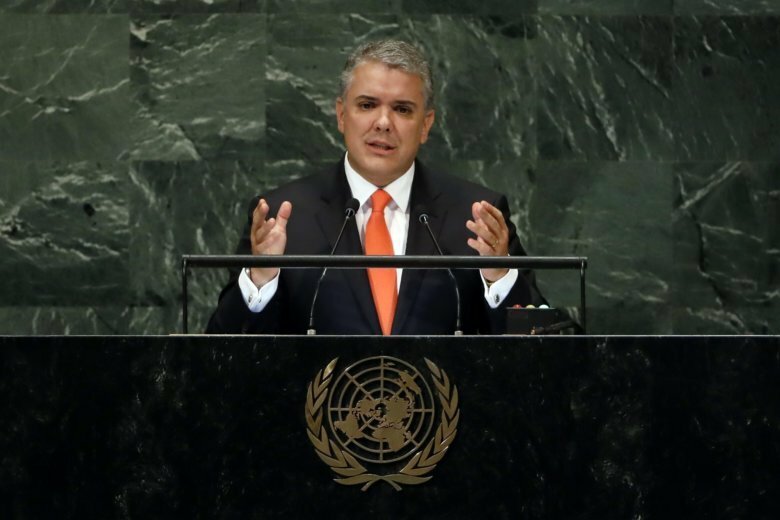 BOGOTA, Colombia (AP) — Colombia’s new president is trying to reduce drug use with a decree that bans people from carrying small amounts of marijuana and cocaine in public — though courts have said such possession shouldn’t be punished. President Ivan Duque signed a decree on Monday enabling police to search people and confiscate any drugs they have on them. Offenders will also be fined. Selling and exporting such drugs has long been illegal in Colombia. But laws on drug use had become more flexible since the 1990s and high court rulings allow Colombians to carry small amounts of marijuana and cocaine. Duque said the new measure will protect children from traffickers who sell drugs near schools. But his opponents say it restricts personal liberties. “This opens the door to more police abuse” said Eduardo Velez a cannabis user who is a spokesman for the Yes to Personal Consumption Collective, a group that advocates for the legalization of marijuana. “No one is going to stop smoking because the government issues a decree,” Velez said shortly after the president signed the new measure. His group protested the decree earlier this month by organizing a “smoke-a-thon” where dozens of people lit up marijuana cigarettes in a park. The protest was quickly dispersed by riot police. Legal analysts are debating whether Duque’s new measure contradicts the high court ruling. Though the decree does not say anything about putting drug users in jail, it does allow police to sanction anyone carrying small amounts of marijuana or cocaine, even if they are not consuming the drugs in public. Duque said that one of the decrees main objectives is to protect the “rights of children” who are exposed to people using drugs in public spaces. He argued that small-scale drug traffickers have been profiting from the tolerance law by hanging out near schools, where they offer substances like marijuana and cocaine to teenagers. Studies show that drug consumption has risen steadily in Colombia over the past decade. A 2016 government survey found that 12 percent of high school children in the country had consumed marijuana while 4 percent had tried cocaine. Colombia is the world’s largest cocaine exporter and the steady growth of its coca crop in recent years has tested relations with the United States.